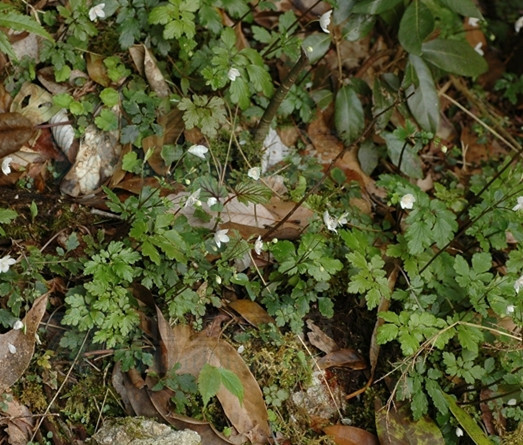 The drug is the dried rhizome of Dichocarpum dalzielii W. T. Wang et Hsiao (family Ranunculaceae), growing at wet places such as woods, brook sides, distributed in Guizhou, Sichuan, Guangxi, Guangdong, Jiangxi, Zhejiang and Fujian of China. Pungent, slightly bitter, cold; lung meridian entered. It is used to clear heat and remove toxicity, resolve swelling and relieve pain; for the treatment of lumbago due to strain, traumatic injury, sores and boils.